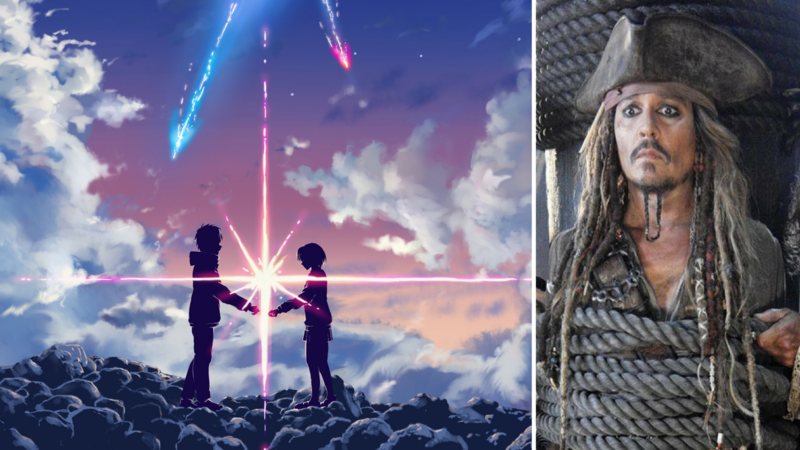 This week on the show, Casey gets swept up in the enchanting body switch movie Kimi No Na Wa – aka Your Name. Directed by Makoto Shinkai, it tells the story of a teenage boy and girl embark on a quest to meet each other for the first time after they magically swap bodies. Meanwhile, Dan (and Greg?) swash-buckle their way through Pirates of the Caribbean: Dead Men Tell No Tales. For this week’s album, we discuss Prince’s 1986 effort Parade. Before any of that, we jump into discussions about Paddington 2, comic-book movie news, reviews of American Gods, A Cure For Wellness, and lots more!